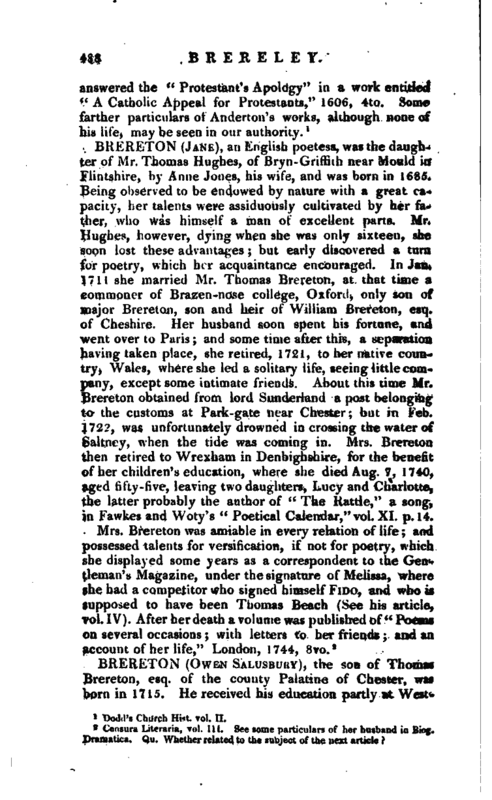 , the son of Thomas Brereton, esq. of the county Palatine of Chester, was born in 1715. 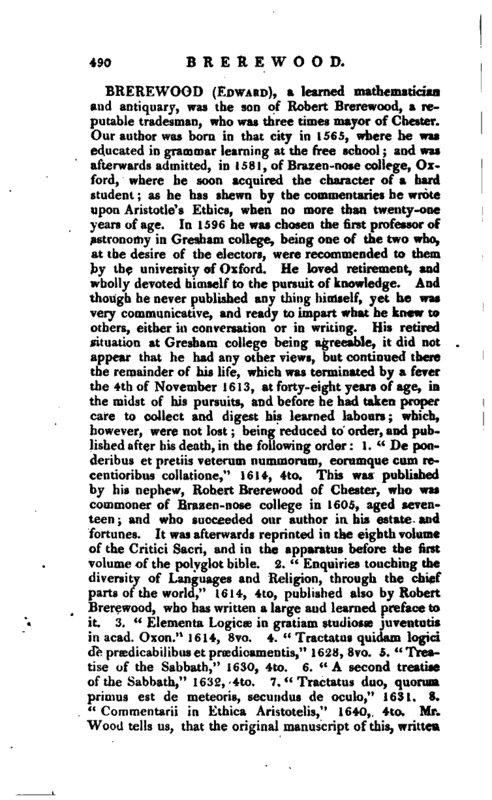 He received his education partly at | Westminster-school, on the foundation, and partly at Trinity college, Cambridge, and, on the death of his father, inherited the ancient family estates in the above-mentioned county, and in Flintshire. In 1738, Mr, Brereton was called to the bar, and in 1746 became recorder of Liverpool, which office he filled with great impartiality and dignity during fifty-two years. In 1796, on his proposing to resign, the corporation requested him to retain his situation, and appointed a person to discharge its active duties. 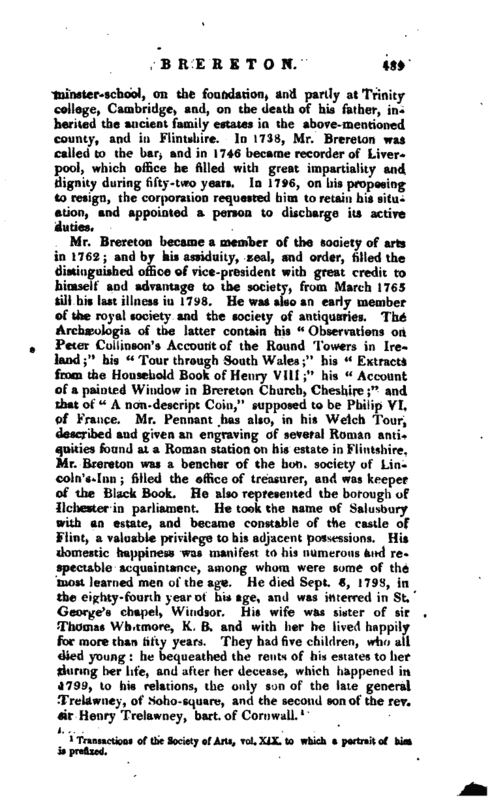 1 Transactions of the Society of Arts, vol. Xjx. to which a portrait of him is prefixed.